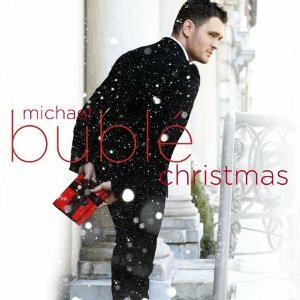 Michael Buble's Christmas this week becomes the first album in two years to sell 400,000 copies in a week more than once. The album sold 448K copies this week, down just a tick from last week's tally of 479K. The last album to do this was Susan Boyle's I Dreamed A Dream, which topped 400K five weeks in a row in 2009. This week's hefty sales enables Buble's album to move up from #4 to #3 on the year-to-date chart. It's just 66K copies behind the #2 album for the year-to-date, Lady Gaga's Born This Way. With two more weeks left in this chart year, Buble is a lock to finish at #2 for the year, behind Adele's 21. This will be only the second time in Nielsen SoundScan history (which dates to 1991) that foreign-born acts have had both of the year's top two albums. In 1996, the top two albums were Alanis Morissette's Jagged Little Pill and Celine Dion's Falling Into You. Buble's album tops The Billboard 200 for the fourth week. 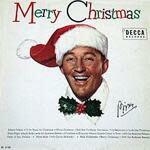 That's one of the five longest runs at #1 for a holiday album in the 66-year year history of the pop album chart. Bing Crosby's Merry Christmas had the longest run at #1 (a remarkable 39 weeks, from 1945 into 1957). It's followed by Josh Groban's Noel (five weeks in 2007), Elvis Presley's Elvis' Christmas Album (four weeks in 1957-1958), Susan Boyle's The Gift (four weeks in 2010) and now Buble's album. Buble's album also regains the #1 spot in the U.K. It's the first holiday album to log multiple weeks at #1 in both the U.S. and the U.K. The only previous Christmas album to reach #1 in both countries, Boyle's The Gift, spent just one frame on top in the U.K.
Buble's album has sold 286K digital copies in the U.S., which makes it the best-selling holiday album in digital history. It tops Vince Guaraldi Trio's 1965 classic A Charlie Brown Christmas, which has sold 280K digital copies. Buble's album sold nearly 45K digital copies this week, which puts it back at #1 on the weekly Digital Albums chart. One final note on Buble: He tops the 15 million mark in career album sales in the U.S. this week. 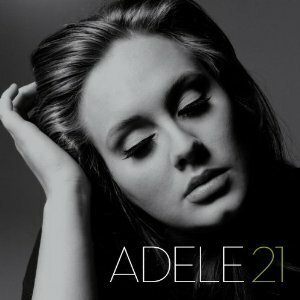 Adele's 21 rebounds from #3 to #2 on The Billboard 200. This is its 13th week at #2. It has also logged 13 weeks at #1. The excellent "Set Fire To The Rain" is streaking up the Hot 100 and will contend for #1 early in the new year. Amazingly, 21 has yet to top 400K in weekly sales. It has topped 200K in weekly sales just twice: in its first week, when it sold 352K copies, and this week, when it sold 277K copies. The album will have two more chances to top 400K in weekly sales: next week, which will cover the final shopping week before Christmas, and in February, the week after an all-star tribute to Adele airs on nationwide TV. You may know it by its alternate name, the Grammy Awards. In addition, Adele's Live At Royal Albert Hall DVD is #1 on Top Music Videos for the third straight week. It sold 98K copies this week (its highest tally to date), bringing its three-week total to 275K. It's #1 for the year-to-date. Justin Bieber's Under The Mistletoe rebounds from #4 to #3. It jumps to #10 on the year-to-date album chart. If it can hold that position, this will be the first year in Nielsen SoundScan history in which two holiday albums have ranked among the year's top 10 sellers. Stay tuned. Lady Antebellum's Own The Night rebounds from #15 to #5. This puts it back at #1 on Top Country Albums. Own The Night and Scotty McCreery's Clear As Day have been going back and forth at #1 on that chart. McCreery has bumped Lady A out of the #1 spot twice. Now, Lady A has bumped McCreery out of the top spot twice. Scotty, it's your move. Under The Mistletoe, Own The Night and Drake's Take Care all top the 1 million mark in sales this week. They are the eighth, ninth and tenth albums to achieve that feat so far this year. All three of these albums are very likely to wind up in the year-end top 10. All three artists were also in the year-end top 10 last year. Lady A's Need You Now was #2. Bieber's My World 2.0 was #4. Drake's Thank Me Later was #8. Has Glee run its course? No. But it's not the force it once was. 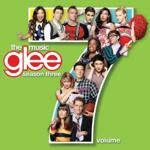 Glee: The Music: Season 3: Volume 7 dives from #9 to #37 in its second week. 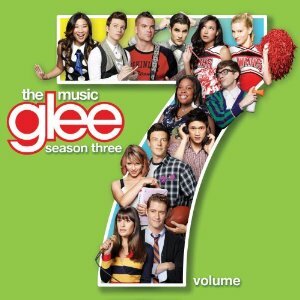 It's the second Glee album in a row to spend just one week in the top 10. The Christmas Album: Volume 2 experienced the same fate. Before these two albums, every album or EP from the TV show spent at least two weeks in the top 10. Adele's "Set Fire To The Rain" and "Dance (A$$)" by Big Sean featuring Nicki Minaj move into the top 10 on Hot Digital Songs. Adele's smash leaps from #17 to #7. Big Sean's hit jumps from #11 to #8. Will either or both crack the top 10 on the Hot 100? You'll find out later today when we post Chart Watch: Songs. Shameless Plug: Diana Ross has been voted a Grammy Lifetime Achievement Award, which is noteworthy because she has yet to win a Grammy in regular competition, either solo, in a duet or with the Supremes. I've just post a piece in the "And The Winner Is" file in which I look at other notable acts that have never won a Grammy, but have received Lifetime Achievement Awards. The artists run the gamut from Patsy Cline to The Doors. Look for it today. 1. Michael Buble, Christmas, 448,000. The album holds at #1 for the fourth week. This is its eighth week in the top 10. It's #3 for the year-to-date. Three songs from the album are listed on Hot Digital Songs, topped by "It's Beginning To Look A Lot Like Christmas," which drops from #85 to #120. 2. Adele, 21, 277,000. The former #1 album rebounds from #3 to #2. This is its 43rd week in the top 10. It's #1 for the year-to-date. Four songs from the album are listed on Hot Digital Songs, topped by "Set Fire To The Rain," which leaps from #17 to #7. 3. 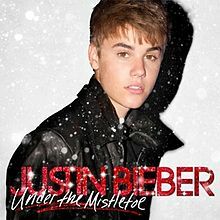 Justin Bieber, Under The Mistletoe, 171,000. The former #1 album rebounds from #4 to #3. This is its seventh week in the top 10. It's #10 for the year-to-date. Three songs from the album are listed on Hot Digital Songs, topped by "Mistletoe," which holds at #16. 4. The Black Keys, El Camino, 85,000. The album drops from #2 to #4 in its second week. "Lonely Boy" drops from #54 to #73 on Hot Digital Songs. 5. Lady Antebellum, Own The Night, 81,000. The former #1 album rebounds from #15 to #5 in its 14th week. This is its ninth week in the top 10. It's #9 for the year-to-date. It's #1 on Top Country Albums for the fifth week. Two songs from the album are listed on Hot Digital Songs. "Just A Kiss" jumps from #49 to #46. "We Owned The Night" jumps from #76 to #68. 6. Nickelback, Here And Now, 80,000. The album rebounds from #8 to #6 in its fourth week. It has been in the top 10 the entire time. "When We Stand Together" rebounds from #63 to #50 on Hot Digital Songs. 7. Drake, Take Care, 77,000. The former #1 album holds at #7 in its fifth week. It has been in the top 10 the entire time. It's #8 for the year-to-date. Five songs from the album are listed on Hot Digital Songs, topped by "Headlines," which jumps from #28 to #24. 8. Andrea Bocelli, Concerto: Live In Central Park, 76,000. The album drops from #6 to #8 in its fifth week. This is its fourth week in the top 10. The album has sold 368K copies in its first five weeks. 9. Scotty McCreery, Clear As Day, 67,000. The former #1 album rebounds from #13 to #9 in its 11th week. This is its sixth week in the top 10. "The Trouble With Girls" drops from #66 to #81 on Hot Digital Songs. 10. Amy Winehouse, Lioness: Hidden Treasures, 65,000. The album drops from #5 to #10 in its second week. The album has sold 179K copies in its first two weeks. Two albums drop out of the top 10 this week. Glee: The Music: Season 3: Volume 7 dives from #9 to #37. Korn's Path Of Totality plummets from #10 to #46. 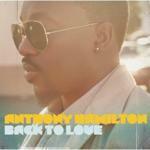 Anthony Hamilton's Back To Love debuts at #12. It's the R&B star's fourth top 20 album. He first cracked the top 20 in 2005 with Soulife…Glee: The Music: The Christmas Album: Volume 2 jumps from #19 to #13. It's #1 on Top Soundtracks for the third week…Andrea Bocelli's 2009 album My Christmas drops from #16 to #19. It's #1 on Top Catalog Albums for the third straight week (and seventh overall). Music From And Inspired by the Movie: Mac and Devlin Go To High School by Wiz Khalifa & Snoop Dogg debuts at #29. The album includes the former top 10 hit "Young, Wild & Free" (featuring Bruno Mars). 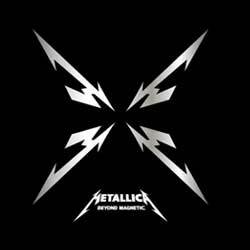 Metallica's Beyond Magnetic debuts at #32. The digital-only EP consists of four songs that were left over from the band's 2008 Death Magnetic sessions. This is the band's third EP to reach the top 40. It follows The $5.98 E.P. : Garage Days Re-Revisited (#28 in 1987) and Some Kind Of Monster (#37 in 2004). The EP was released to celebrate the band's 30th anniversary. Metallica first cracked The Billboard 200 in September 1984 with Ride The Lighting. It first reached the top 30 in April 1986 with Master Of Puppets. It first cracked the top 10 in October 1988 with …And Justice For All. It first hit #1 in August 1991 with Metallica. Doris Day returns to the The Billboard 200 for the first time since 1964 with her album My Heart, which debuts at #135. Day was the biggest female multi-media star of the 1950s and early 1960s, a forerunner to Beyonce and J.Lo. She first cracked the top 10 on what is now The Billboard 200 in 1949 with You're My Thrill. She had four #1 albums in the 1950s, all soundtracks to movies in which she starred: Young Man With A Horn, Lullaby Of Broadway, I'll See You In My Dreams and Love Me Or Leave Me. My Heart was a top 10 album in the U.K. earlier this year. Faith Hill tops 20 million in total career album sales this week. Only three female country solo artists have sold this many albums in the Nielsen SoundScan era. Shania Twain leads the pack with sales of 34,122,000. Reba McEntire has sold 29,916,000 albums since 1991 (and millions more before that). LeAnn Rimes has sold 20,420,000. Sherlock Holmes: A Game Of Shadows, starring Robert Downey Jr., was #1 at the box-office over the weekend. The soundtrack sold 2K copies this week, too few to make The Billboard 200. 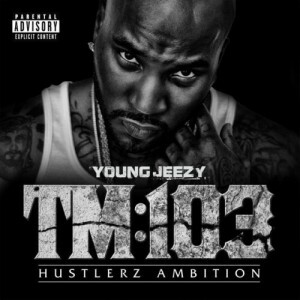 Coming Attractions: Young Jeezy's TM:103 Hustlerz Ambition is expected to be next week's top new entry, with sales in the 200K range. The rapper's last two albums, The Inspiration and The Recession, opened at #1. Also due: Common's The Dreamer, The Believer, with sales in the 60K range. Holiday Schedule: Look for Chart Watch: Songs later today. A week from today, as usual, we'll post both regular weekly blogs, Albums and Songs. Two weeks from today, on Jan. 4, I'll update both of the recently-posted year-end blogs to reflect the year's final rankings and tallies.